*Thanks to Al from Magnet 4 Books! *Doing a happy dance that this arrived! *I loved Revolution. Hope this is as good. *Laura Marling is a British singer/songwriter. This is her third album. I've been a huge fan from the very beginning. I was lucky enough to attend her concert in San Francisco last weekend (I happened to walk by the club and noticed she was playing that night). What a great show. Laura has a folky/jazzy/country sound. There are similarities to Mumford & Sons - she dated Marcus Mumford until recently. Check out one of my favorite songs: Sophia - Starts out slow and then completely changes into a catchy ditty at 2:56 min. Very nice mailbox. Mine will be up tomorrow morning. I got a lot more than I thought I would thanks to the Brooklyn Book Festival. LOL. Great IMM! Carrie of the Mark sounds like a great read. Hope you enjoy all your new books! Ooh some very interesting books! Five Flavors of Dumb was definitely a good read, glad you enjoyed it. Great books you got there! Can't wait to read The Near Witch. It sounds good. Hope you enjoy your new books. Happy Reading! Oh awesome! Really looking forward to Carrier of the Mark. Laura Marling!!! How awesome, was listening to her as I read your post. Sophia is definitely a favorite, but I think My Friends has the #1 spot for me...for now. She is amazing. Great mailbox, too, and happy birthday! Fantastic stack of books! I can't wait to read Carrier of the Mark! What a lovely song---I just came across her music recently, led to one of her youtube videos while watching Mumford & Sons (whom I absolutely adore!). Cool that you got to see her live! Hi! Thanks for stopping by my blog! New follower! I loved The Near Witch! I hope that you enjoy it! Also I can't wait for Carrier of the Mark to get to me! Great Haul this week! I've been hearing good things about Carrier of the Mark! awesome books! Dying to read Carrier of the Mark, who doesn't love the back drop of Ireland?! The Near Witch sounds good too, and still need to get my hands on The Rift Walker! Nice wins! Both The Carrier of the Mark and The Near Witch are books I've been wanting to read. Five Flavours of Dumb must be good. I have it too, but haven't read it yet. I really want to read A Gathering Light! I keep seeing it and dithering... might just buy it. Also, I loooove Laura Marling. I didn't know she had a new album out, will have to check it out. Those look like some good reads! Hope you enjoy them all! Happy Reading! 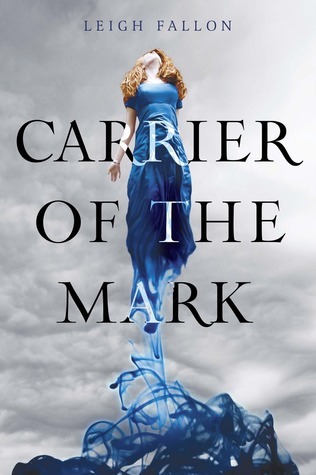 I can't wait to read Carrier of the Mark! 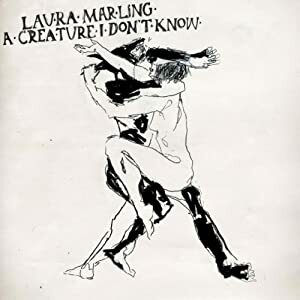 Anyway, I too am a huge fan of Laura Marling's music! Five Flavours of Dumb cover is just so gorgeous. Hope to get my hands on that soon! Cannot wait to read Carrier of the Mark and The Near Witch. Awesome books, enjoy! Very Nice! Carrier of the Mark I've been really looking forward to. HOpe you enjoy it. Don't forget to enter my giveaways for some ARCs. Happy Birthday! :) You have three books that I am dying to read. Carrier of the Mark sounds amazing and I really want to read A Northern Light- I loved Revolution. 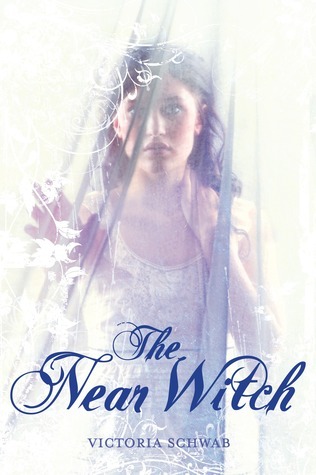 The Near Witch has also been sitting on my shelf- must get to that one soon! I hope you enjoy all your books! The Carrier of the Mark has a great Ireland setting. I hope you enjoy it. The Near Witch looks so interesting and that cover is so gorgeous!! Happy birthday! I hope you have a great day. I have Carrier of the Mark coming too. I've been wanting to read Five Flavours of Dumb. I couldn't find your review in your archive though. Ooh, I'm so jealous of Carrier of the Mark! :D Looks awesome, I hope you enjoy! Happy reading! Oooh Pegasus! It's one of my favorite books, I love Robin McKinley. I hope you enjoy reading it but take note that it has a cliffhanger ending and the sequel won't be released until next year. Really curious about the other books in your pile like The Five Flavors of Dumb and A Northern Light. Thanks for dropping by to check my IMM post! Oh my God. I LOVE Laura Marling! I did a post just about her on the release date of her new album haha. Like you I've been there since the beginning and saw her last year, she was amazing! Her new albums fantastic, hope you like it! Great selection! I'm jealous about Carrier. I have my copy pre-ordered. Hoping it shows up on time! I'm very curious about Five Flavors of Dumb, I keep seeing that one this week. Gonna have to check it out! Awesome set of books t his week. I purchased Northern Lights for the same reason - I have not had a chance to read it yet. First, HAPPY BIRTHDAY!!!! And you got some really great books!I loved The Near Witch and A Northern Light. I haven't read Five Flavors of Dumb but it sounds really good! Happy birthday! We're with a year of each other age-wise! Carrier of the Mark has such an awesome cover. I hope you enjoy all your books, but I can especially recommend The Near Witch. You got some great books this week. I'm especially jealous of The Near Witch and Carrier of the Mark. :) I hope you enjoy your new books. I'm set to start Carrier of theMark in a few days. Can't wait! I really want The Near Witch. Hope you enjoy all your books! Happy belated birthday! I just turned 18 on the 21st! Great IMM this week. I really want to read A Northern Light and The Near Witch. Have a great week! Great books! Carrier of The Mark looks interesting. I've seen Pegasus on other blogs but never really had the chance to pick it up yet. Looking forward to your thoughts! Aww happy birthday!! Hope you had a great day! I love Jennifer Donnelly's Tea Rose Trilogy, and if you haven't read it, I really think you should. It isn't YA, but they are really good! Happy belated from a fellow September birthday girl! I can't wait to see what you think of Near Witch - it's on my wishlist. i liked the near witch a lot, enjoy! Happy Birthday to you! I LOVED Pegasus too much. It's just a gorgeous book. 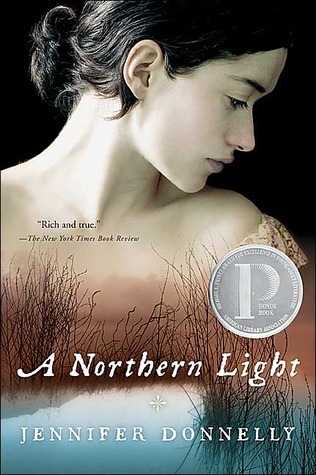 And Northern Light is very, very different from Revolution (or the Tea Rose books), but I did like it. It's pretty creepy at times. Enjoy your birthday weekend and happy readings! My IMM is over here if you'd like to stop by! Great mailbox! I loved a Northern Light, glad to see you loved Revolution. Happy reading! I am really absurdly jealous that you won The Near Witch... I still haven't managed to grab a copy! Thanks for stopping by my mailbox! You got great books this week. Pegasus is on my TBR pile since ages, I'm curious about your review. Happy Birthday! I really liked A Northern Light, and I want to read The Near Witch and Carrier of the Mark. I really enjoyed The Near Witch and I've heard good things about Carrier of the Mark - hope you enjoy! Thanks for stopping by my IMM :) Happy birthday! 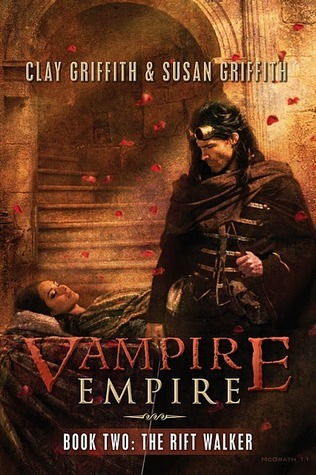 I really want to read the Vampire Empire series - just have to grab the first book sometime!!! Happy Belated Birthday! I absolutely loved "A Northern Light". Funny, I just bought "Revolution" because I loved her first book. I hope you enjoy all your books. Happy Reading! Holy crud! You have the books I want. Luck - ee! I really want to read Carrier of the Mark. I loved The Near Witch, I hope you enjoy it! I'm really looking forward to Carrier of the Mark, I'll definitely be looking out for your review. 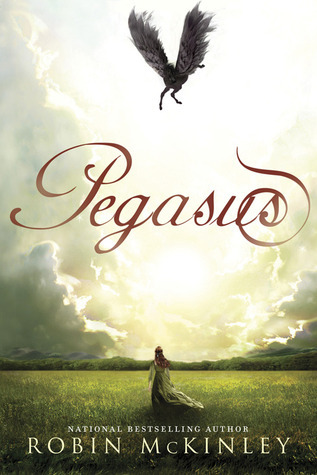 The cover for Pegasus is so pretty :0) Thanks for stopping by my IMM! wow, great vocals on her! Consider Sophia downloaded! I can hear the Mumford and Sons influence. Nice. I read a Northern Light a few years ago for school and I really enjoyed it! Great books girl. Happy belated birthday!! i just got vampire empire book one so i guess i need to get two as well. Happy reading. Hope you had a great b day. I'm reading The Rift Walker right now. I loved The Greyfriar. I love Laura Marling too! I just featured her a few weeks ago on my Tune in Tuesday. This batch looks amazing. I am looking forward to reading Carrier of the Mark when it comes out. Five Flavors of Dumb looks really cool. I'll have to add it to my to-read pile. I actually make googly eyes at Pegasus when I'm at work (at the library). Definitely want to read it at some point. Happy birthday, Alison!!! *HUGS* to you! Looks like you have some very nice books to help you celebrate :) SO can't wait to read your review of The Carrier of the Mark. Happy belated birthday! Hope you had a good one!!!! I'm eager to read your review of Five Flavors of Dumb. I've been seeing this one make its way around the blogosphere and it sounds quirky. First off, Happy Birthday!!!!! I hope you had a good one!! Second of all, I've been meaning to read Pegasus as well! That book sounds so weird but cool :) Awesome stuff! There are so many interesting ones on this list. I've heard so much about Near Witch. And I love that cover on Carrier of the Mark. Thanks for stopping by my blog! Happy birthday!!!! I hope it was fabulous! I have heard very good things about Five flavors of dumb! Crikey you have a lot of comments..Inever get near this...well done! Some books I haven't heard of. Five Flavors of Dumb...The Rift Walker..must get these. Dang it! I need to seriously get started on that Vampire Empire series. I keep hearing great things about it and I love the covers! Great new pile of books! Hope you have fun with them. A Northern Light is called A Gathering Light over here but I can assure you it is amazing! I loved it, hope you do too! Carrier of the Mark sounds like a good book. I totally love the cover. Allison, happy belated birthday! I turned 30 this month as well so rock on fellow September-ite. Awesome IMM. :) Need to add some of those to the TBR pile. Incredible mailbox. I so can't wait to get to Carrier of the Mark. Thank you for stopping by my blog! The Near Witch and Pegasus are two book I have on my TBR list. 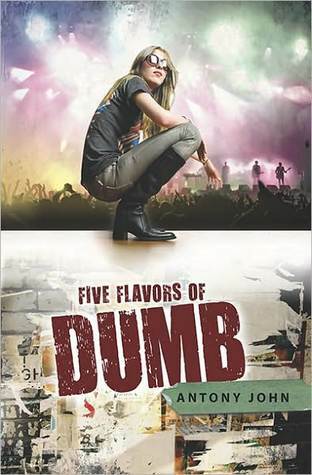 The cover of Five Flavors of Dumb looks interesting, glad to see you enjoyed it. Thanks for the Laura rec. over twitter! I'm addicted to her songs now! Her voice is soo beautiful! P.S: The cover of pegasus rocks! !